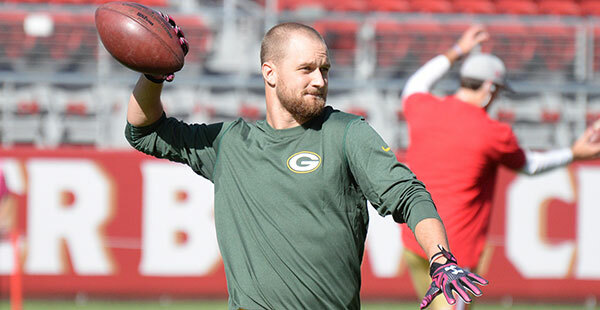 SANTA CLARA, Calif. — Packers WR Jared Abbrederis wasn’t just signed to the active roster on Saturday, he’s active for today’s game at Levi’s Stadium against San Francisco. Abbrederis, a native of Wautoma, Wis., and a former Wisconsin Badger, will make his NFL debut today against the 49ers. It’s been a long time coming for Abbrederis, who missed all of his rookie season last year with a torn ACL after he was drafted in the fifth round. His bad luck continued this summer, when he suffered a concussion on the first day of training camp and was out all the way until the final week. He got in a couple of practices and then finally played in a preseason game, his first in-game action in two years. Now he could take an NFL field today for the first time in the regular season. His role remains to be seen. He could play on special teams, or he could get snaps as the No. 4 receiver on offense. With Davante Adams out, the Packers have Randall Cobb, James Jones and Ty Mongtomery as their first three, with Abbrederis and Jeff Janis also available. Janis got some snaps on offense last week, but he could share the No. 4 job with Abbrederis today. 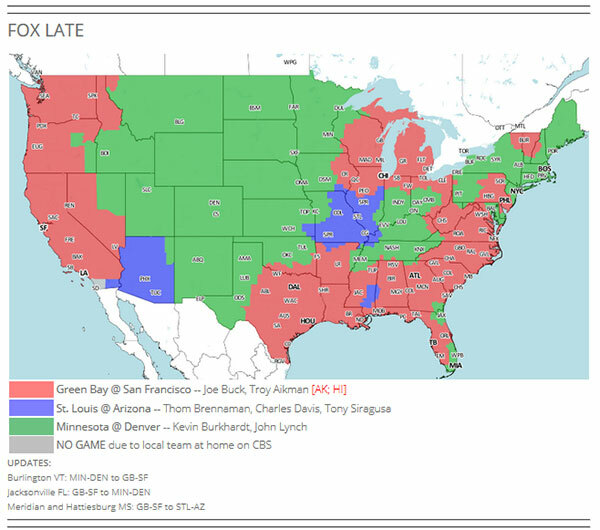 In the NFC North: While the Packers have a chance to start 4-0 for the first time since 2011, their closest pursuer in the NFC North will be playing at the same time, as the Vikings (2-1) are in Denver for a late-afternoon contest. Elsewhere in the division, the Bears and Lions are both searching for their first victories of the season. At the time of this posting, the Bears were losing to the Raiders in Chicago in a close game. Detroit plays on Monday night in Seattle. At the end of the day, the best-case scenario for the Packers — a Green Bay win and Minnesota loss — would give the Packers a two-game lead in the division race. The worst-case scenario — a Green Bay loss and Minnesota win — would put the border rivals tied for the division lead. Tough streak: The Packers haven’t beaten the 49ers since playing them at Lambeau Field in 2010. Since then, San Francisco has won four straight — the season openers and playoff games in both the 2012 and 2013 seasons. No other team in the NFL has a current winning streak as long as four games against the Packers, as the 49ers do. Two other teams — Cincinnati and the N.Y. Giants — have current three-game winning streaks against the Packers. Seattle also had a three-game winning streak against Green Bay until the Packers beat the Seahawks two weeks ago.